e visit us on the Holiday: Day of the Dead. 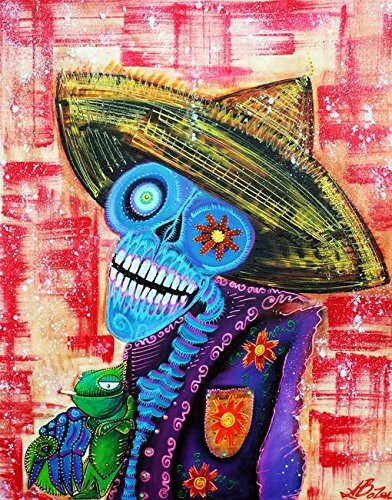 This candied sugar skull spirit is hanging out with his chameleon friend celebrating Dia De Los Muertos in Mexico. Multiple sizes available. Primary colors within this image include: beautiful tones sure to enhance your space. Made in USA. Satisfaction guaranteed. Archival-quality UV-resistant inks. Printed on high quality gloss finish paper with archival quality inks. Looks great in dorm rooms, kid rooms, offices, and more.